Have you ever wondered how to apply flawless makeup like a pro? 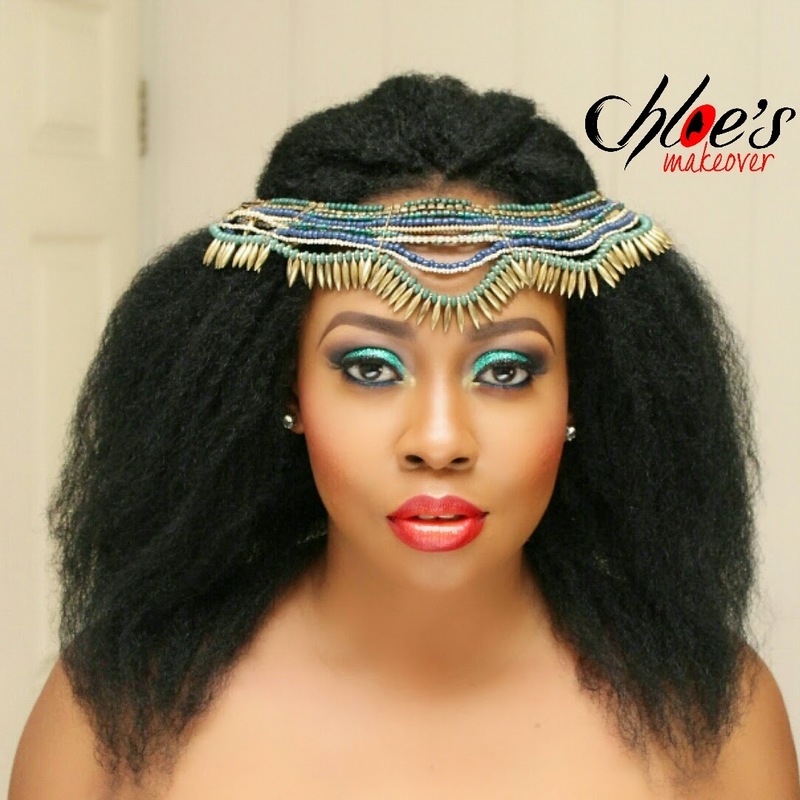 Do you still struggle with your gele? 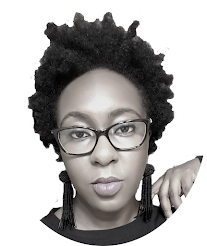 Not sure what makeup products to keep or bin? Don't worry anymore! Register for our hands-on training and acquire all the skills you need to know about personal makeup application and gele tying. All classes are privately taught with not more than 2 students in each class to guarantee maximum focus and learning. Our classes now include Saturdays to cater for those who have very busy weekday schedules. Please note: This training is strictly for personal use. 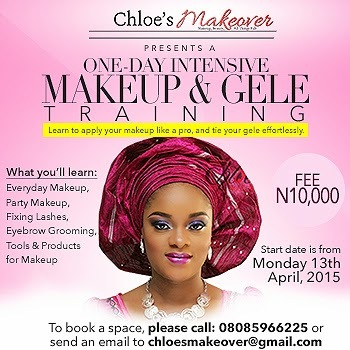 Training starts each day at 10AM prompt at Chloe's Makeover Studio, in Surulere, Lagos. Students are expected to come along with their makeup and at least 1 gele to practice with, but will have access to more products to use in the studio. And every participant goes home with a free makeup product!!! She is. If you're in the area, or someone you know, they should sign up! I really want to learn oh but can they teach everything in one day? It's a 4 to 5 hour intensive, and PRACTICAL class with just you (and maybe one other person). Taking stock of whatever makeup products you have, Chloe will help determine which ones you should keep or throw away. Moving on from that, she will show you how to apply your products to achieve different looks - and she will give you recommendations for other products you might like. Her work looks good. 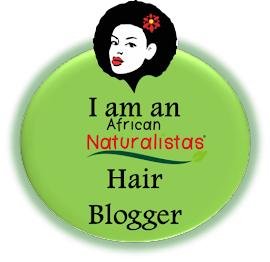 I have forwarded the link to someone who wants to learn. I am unfortunately not into the whole "face painting" undertaking. Ooooh, cool, thanks! Yeah, it's not for everyone. But I'd like to be able to do a full face of party makeup. And learn how to do a blawdy winged eyeliner!!! And put on false eyelashes. And define brows - or more like, tweeze correctly so that any defining is minimal.